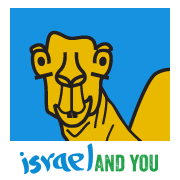 Israelandyou is on the always on the outlook for tips to make your visit to Israel more enjoyable and successful. We have found some FREE Israel travel guides available from Amazon and the App Store which provide you with access to info on your cell phone. Travelers throughout Israel now have access to a number of technological tools and apps, making Israel’s tourism offerings easier than ever to access. This free app brings you complete and up to date city guides for over 50 cities in Israel including Jerusalem, Tel Aviv and Haifa. Triposo helps you make decisions on the spot. App for people who appreciate spontaneity and serendipity as ways to enjoy travel. Smart personalized suggestions and best-for-badges so you can skip those long lists of reviews and find places you’ll easily love. Triposo works offline, including the maps – so no need to go looking for a wifi spot first. We give you the freedom to get lost in the small streets of a town you have not visited before, knowing that when you need it you can find your way back to your hotel. * For each city in Israel we have an eating out section with the best restaurants. * Bars, pubs & nightlife section for all major cities in Israel. * An offline map of Israel and offline city maps for all major cities. * A phrasebook with useful Hebrew phrases. * The travel guide has a complete background information on Israel. * Free app – no hidden costs. Before your next trip, you can become inspired by Triposo on your iPad or Android tab. Learn about the history and culture of your destination, as well as practical information about the currency and language. One can book a tour, plan sights to see, consider a day trip and find places to stay and eat. You can easily download a Triposo destination guide to your smartphone. Once you’re in town, check Triposo for real-time information about where you are and what is around you. Let Triposo make dynamic, personalized recommendations about activities, museums, shopping and shows as well as parks, beaches and places to eat, drink and dance with the locals. The top restaurants have been individually selected by MobileReference editors. These restaurants are marked by a star in the EAT chapter and are plotted on the GPS map.